Hong Kong is not Thailand or Singapore, but while being caught with drugs won’t see you facing the death penalty or the business end of a cane, Hong Kong’s drug laws are far less liberal than in Europe or the US. The Hong Kong public’s attitude to drug taking is conservative. Recreational drug use does happen but most locals associate drugs with triads and criminality. It’s an association that’s not without basis. Hong Kong was once a major destination for drug trafficking between mainland China and the rest of the world. The city is no longer the international drug smuggling den it once was, but the local drug trade is still very much in the hands of the triads. Are Drugs Legal in Hong Kong? No. The government and the police have a zero tolerance attitude towards recreational drugs. Cocaine, ecstasy and ‘legal highs’ are all illegal, as is methamphetamine, one of the city’s more popular drugs. Even if you are caught using a small amount you will very likely be arrested, fined and deported. All of which adds up to a very expensive experience. Penalties for growing or dealing are significant and will attract jail terms. Try to smuggle drugs into the city and you can expect to spend many years in prison. Is Cannabis or Marijuana Legal in Hong Kong? No, it’s not. Hong Kong has some of the stringent laws in the world around cannabis usage. Buying/selling and smoking weed carry a maximum sentence of seven years in jail and a fine of HK$1,000,000. In reality, prison sentences for smoking are rare but substantial fines in the tens of thousands are not unheard of. Those growing cannabis face larger fines and usually a jail sentence. There has been some debate about legalizing cannabis in Hong Kong but it’s unlikely the situation will change in the near future. But Everyone is Offering Me Drugs! Street dealing is not uncommon and is particularly noticeable in areas frequented by tourists, such as Nathan Road in Tsim Sha Tsui, and in popular Hong Kong nightspots, such as Wan Chai. You may be offered hash, but a firm no should quickly send the dealer away. 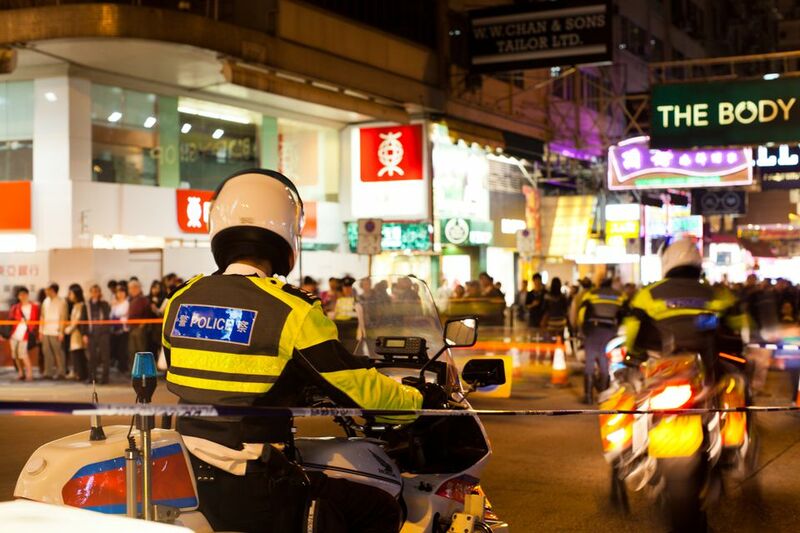 Hong Kong has a professional and well-organized police force with extensive drug enforcement experience. Stop and search is rare in Hong Kong but carrying drug paraphernalia or clothing will attract police attention. The police are more focused on catching Hong Kongers who are funding drug trafficking operations rather than individual users. They rarely raid bars and clubs, although illegal parties on Hong Kong’s outlying islands and backstreet raves in the streets of Tsim Sha Tsui do occasionally attract the cops. Established clubs in the city’s party districts of Lan Kwai Fong and Wan Chai mostly operate strict no drugs policies – at least on the dancefloor – stories of high-rolling bankers in VIP rooms and security turning a blind eye are, however, various. While the risk of being caught in these clubs may be low and police interest in individual users is low, if you do get caught there is no chance of talking or bribing your way out of the situation. If I'm Arrested Will I Be Sent to China? One of the most common questions we get about Hong Kong. No, you can’t be sent to China or transferred to the Chinese police unless you are wanted for questioning in China. This requires a court order, as it does for being transferred to any other international jurisdiction.